Interpol has suspended the Russia-initiated international search for Ukrainian parliamentarian, Chairman of Mejlis of Crimean Tatar People Refat Chubarov, Interior Minister Arsen Avakov has said. "An international search for Refat Chubarov under the crimes allegedly committed by him was stopped as it doesn't meet the organization's [Interpol] requirements," Avakov said at a sitting of the Cabinet of Ministers in Kyiv on Wednesday. He said that on November 6, Russia sent every Interpol member state a report regarding an international search for Chubarov in relation to crimes allegedly committed under Part 2, Article 280 (public calls for actions meant to destroy the territorial integrity of the Russian Federation) of the Russian Criminal Code. Avakov said that according the Russian Interpol Bureau, Chubarov was wanted due to his calls for "excluding the Autonomous Republic of Crimea from Russia and returning it to Ukraine" which were made on Channel Five TV on April 1. 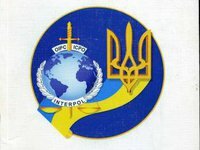 In response, the Ukrainian Interpol Bureau made it clear to Interpol Headquarters that the international search for Chubarov must be stopped. Avakov said that Ukrainian bureau considers Crimea to be Ukrainian and that Russia is occupying the peninsula, which is why it appealed to Interpol HQ.